Give yourself a flawless powder finish! If you use powder makeup, such as foundation or blush, a powder brush is an essential tool in your makeup kit. Our high quality brush made with finest goat’s hair will help you to create the beautiful look that you desire. 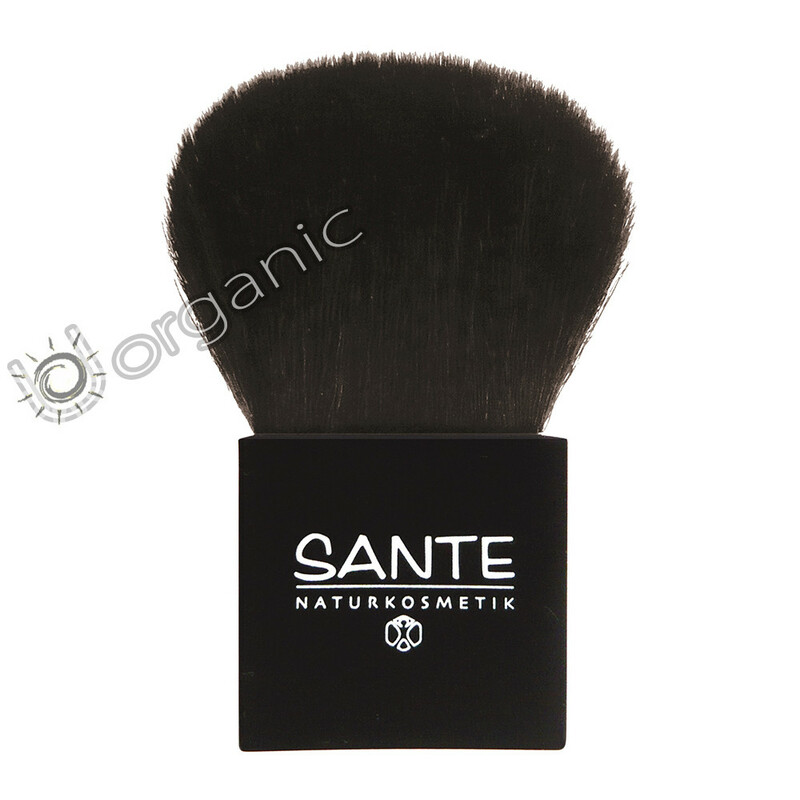 Sante Powder Brush will allow you to delicately blend your powder makeup in a subtle and complex way that you would be able to do with a sponge or your fingertips. You can brush on a light dusting of powder and then layer it to achieve exactly the amount of coverage and colour you desire. The brush is made with fine goat hair and has untreated tips, so that it will be gentle to your skin. The bristles are high quality, so they will deliver the powder pigment evenly onto your face.